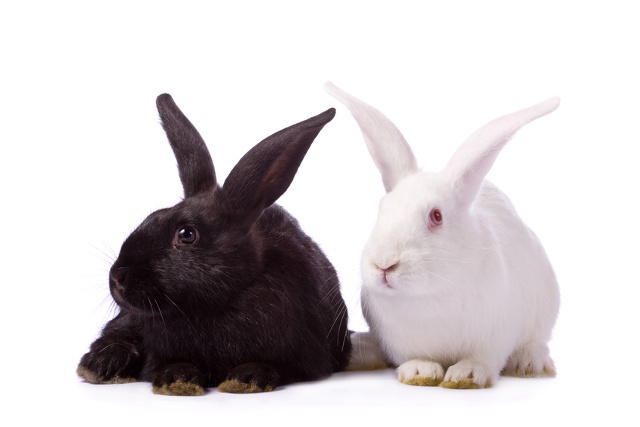 Rabbits make for amazing pets and that can be seen in the training department as well, especially when talking about rabbit litter training. They respond well to this type of coaching because they have a natural tendency of choosing one or more toilet areas, giving the owner a good opportunity during training. That though, doesn’t mean the owner won’t have to do anything, as there’s a lot of flexibility and patience needed for the task. First of all, you need at least one litter box, and as you advance with the training or your bunny’s accommodation at home, you can have more of them. The number of litter boxes depends mostly on the space available. If you’ve got a big house with more than one level, you’ll need more than one litter box, one for each level at least. As for the litter box itself, one that’s made for cats should be more than appropriate. The thing here is that you don’t really need the box to be a special litter box bought from a pet store. You can also improvise from what you can find at home. A small cake pan, a plastic box or a dishpan with taller sides should work just as good as a special cat litter box. What you need to be sure of is how your rabbit likes to do his part of the ‘job’. 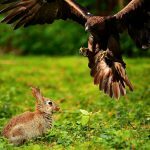 If he’s got a habit of getting right on the edge and eliminate outside the box, you might need to get creative to solve the problem. If he kicks over the box, you will need a heavier litter box. Now let’s get to the other half of the dilemma, the litter. Litter has to have some properties in order to be worth it. Firstly, it should be absorbent. Also, if your bunny likes to nibble at it, you may want to go for something that’s also safe and doesn’t pose any health risks if ingested. 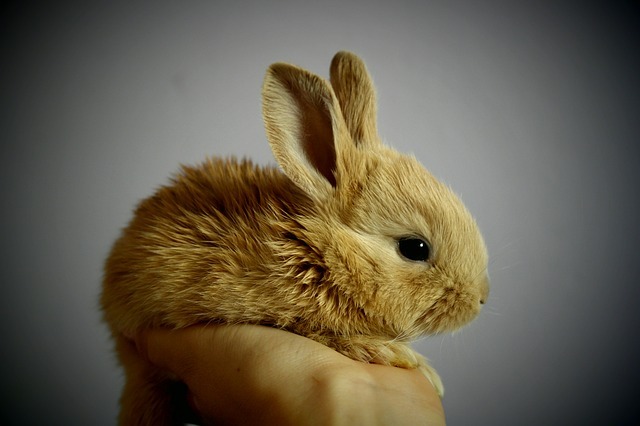 Secondly, the litter should absorb odor, because the smell or rabbit urine is a strong one. Clumping litters and cedar or pine wood shavings are not recommended at all. Instead, go for organic or paper based litters or pellets. Now on to the rabbit litter training part. 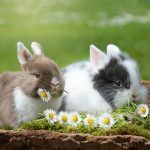 The most important thing here is that in the beginning you should confine the rabbit to a small and strict space and supervise him as much as possible. If he’s allowed to wander around at will and defecate and urinate wherever he finds fit, it will be much harder to train him afterwards. 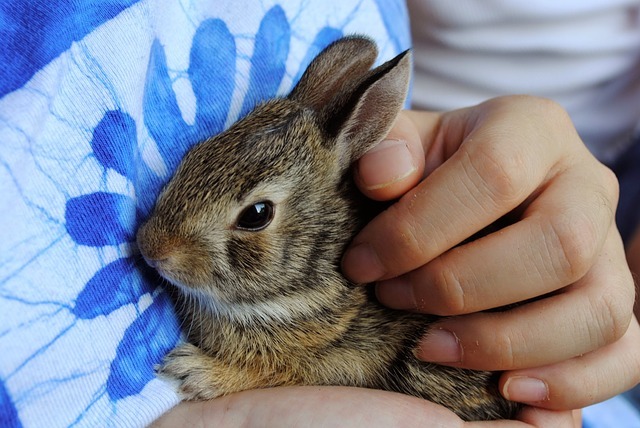 Equally important is not to punish your pet rabbit whenever little ‘accidents’ will happen. 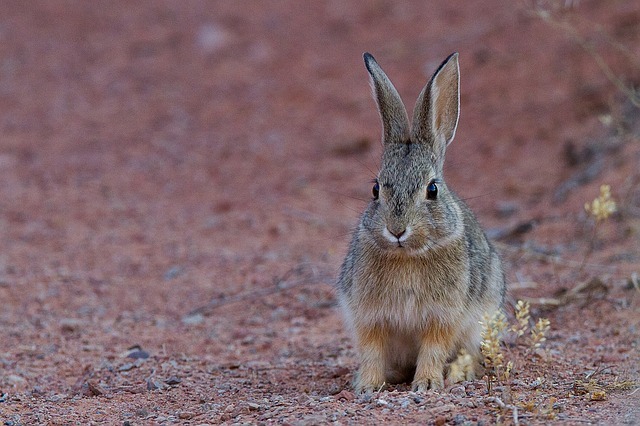 Rabbits, and most animals for the matter, can’t make the connection between something they did wrong – in our opinion – and the punishment that follows, so never punish bad behavior, especially if you didn’t spot it right away. Keeping him inside his cage is recommended at first. You must also place the litter box inside the cage as well and keep an eye out to see where he eliminates. If he’s using the box, perfect, if not, notice the corner he seems to prefer and move the box there. After your bun uses the litter box inside the cage, it’s time to move on to the next level and let him out of the cage in a limited area. Also, make sure you move the litter box outside as well. Supervise him and whenever he’s preparing to eliminate – they usually back up and lift their tail a little – try to move him toward the litter box right away. Some rabbits are comfortable with picking up, so you can place them right inside the box. Give him a treat if he uses the box as an incentive to use it as well the next time. If he’s heading to another spot, consider moving the litter box there. If you notice a little accident or catch your bunny in the act, move him to the litter box right away without punishing him. And try to watch him more closely for that not to happen again. 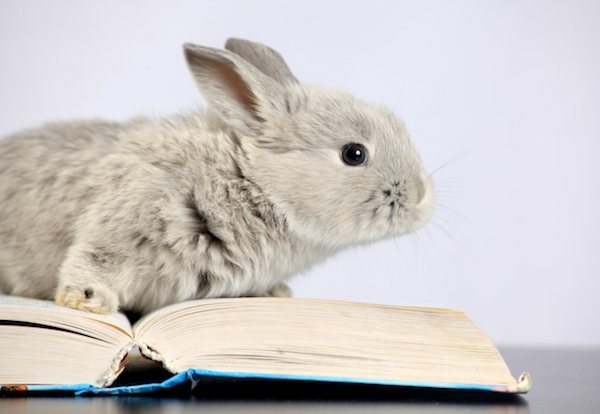 You’ll notice that after a while, your rabbit litter training will pay off. Bunny will start preferring the litter box. Then you know it’s time for the next level, which means more freedom of action for him and more litter boxes, as he may not go looking too far for one, so it’s better to have one ready in every part of the house he’s got access to. Again, repeat the steps with watching his behavior and his chosen spots to eliminate and move the new box, or boxes, right on those spots. 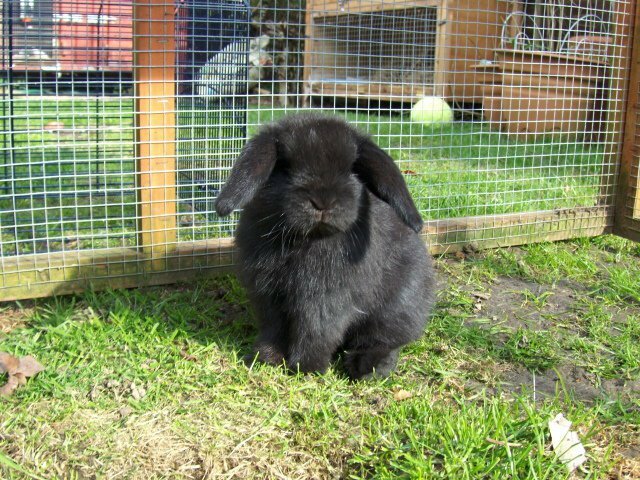 You should always try to go with your rabbit’s natural tendency, as it’s easier to train him to use the litter box. If he prefers a spot that you definitely don’t want a litter box in, put something in the way, so he can’t access that place anymore. 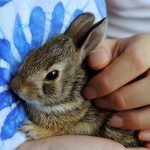 The process of rabbit litter training may seem a little inconvenient in the beginning, but it will go on smoothly and easily as you advance. 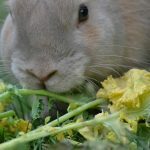 Following your rabbit’s natural habits will help a lot and watching him closely in the beginning will pay off in a short time. It’s also helpful if you can establish a routing with your furry friend. 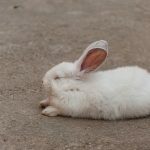 Keep in mind that in general, younger rabbits are harder to train than older ones, as they don’t have the same cleanliness needs as the mature buns. Younger buns usually have a more frequent need to urinate and defecate than older ones, so take that into consideration as well.